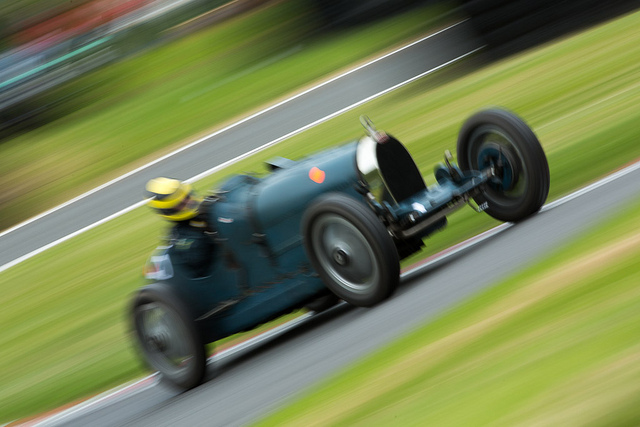 The Frazer Nash Car Club commissioned me to photograph the racing at Lincolnshire’s Cadwell Park circuit. 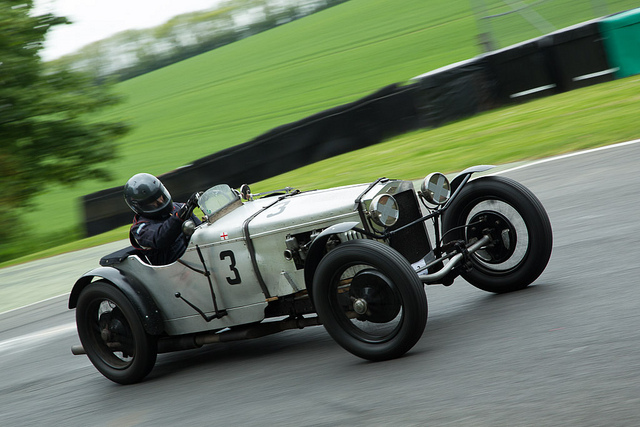 This beautiful track would host the second round of the VSCC circuit championship following the Silverstone Spring Start event from earlier in the year. 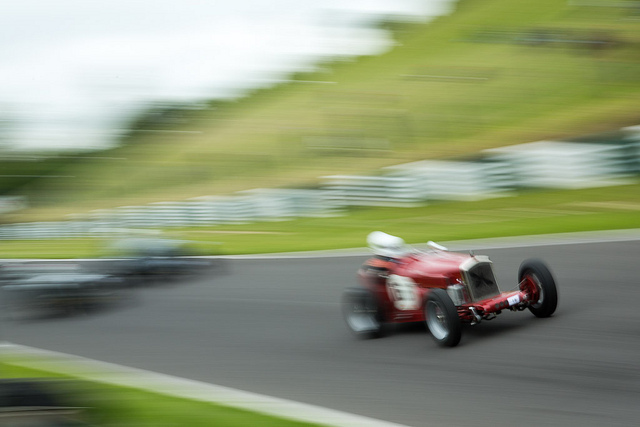 While photographing at this track, I frequently created highly blurred images full of colour and motion. 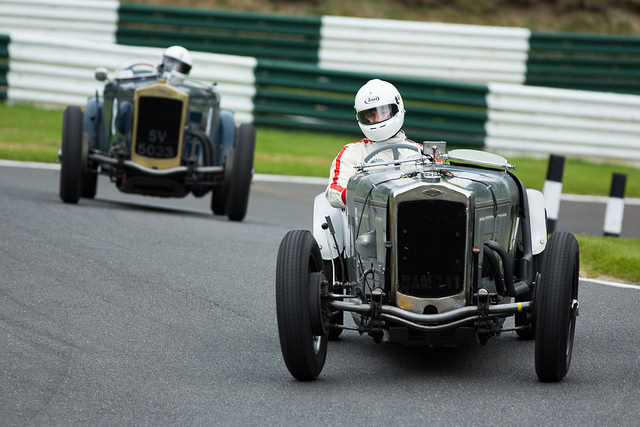 These give a great sense of speed and and look beautiful when printed and displayed. 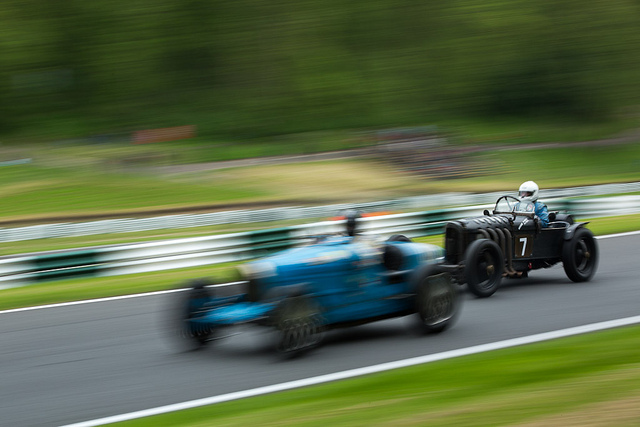 I also took the medium format Mamiya C330F to capture cars racing around the circuit. After photographing the event I prepared the digital images for print using Adobe Lightroom, and hand processed the film photographs. 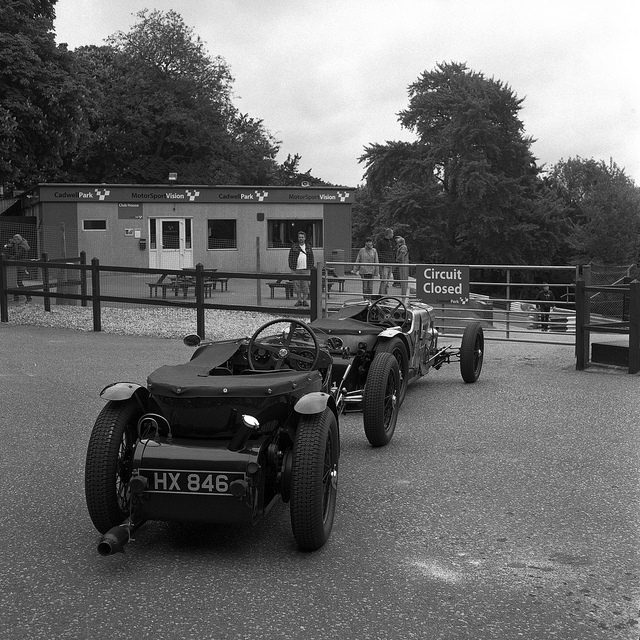 I digitised the negatives using a scanner, before preparing all of the images for professional printing. The client was very pleased with the quality of the final photographs submitted to the Chain Gang Gazette. 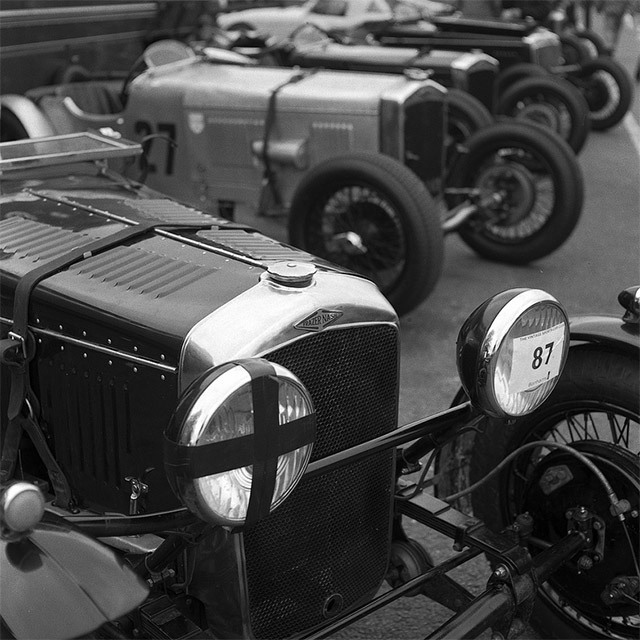 Photographs taken on a Mamiya C330F using Ilford FP4+ film. Hand processed and digitised with scanner. Digital images prepared for print use, negatives scanned in Adobe Photoshop.